Vilnius Mayor Remigijus Šimašius says he doubts there is a need for the Moscow House in the Lithuanian capital which is being constructed. "There are many question marks regarding the Moscow House. 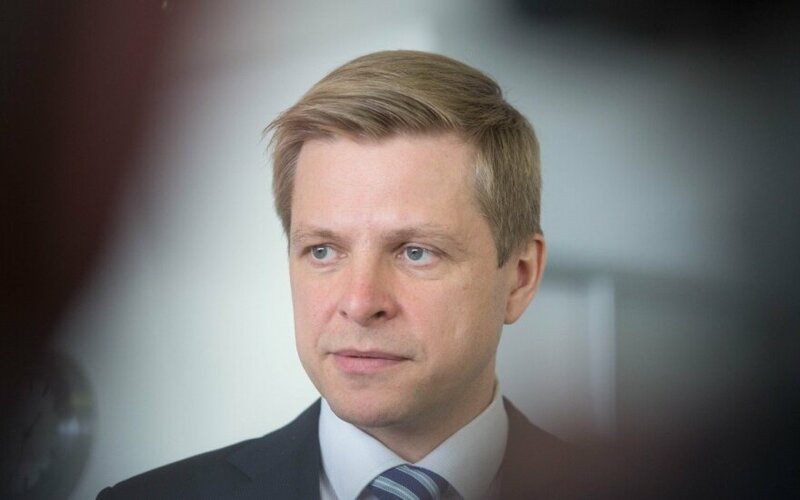 (…) There's a big question mark over the adequacy of the project, launched years ago, today," the mayor of Vilnius told journalists after a meeting with Russian Ambassador to Lithuania Alexander Udaltsov. "I'm not completely sure that it’s very good that all Lithuanian institution have given the green light to the Moscow House at every stage, even more so, taking into account the fact that Moscow institutions have not given that green light to the Vilnius House in Moscow," he said. Lithuanian Ambassador to Russia Remigijus Motuzas told BNS last week that that the construction of the Moscow House in Vilnius has progressed considerably. According to Šimašius, the Russian side wants the Moscow House to be finished by the middle of next year. "Whether it will happen or not is a separate question," he said. The meeting with Udaltsov was overshadowed by Russia's actions in the geopolitical arena, Šimašius said. The idea to build a Moscow House in Vilnius emerged in July 2004 when the then Moscow Mayor Yuriy Luzhkov attended the celebration of the 750th anniversary of coronation of King Mindaugas in Vilnius. It was decided then to implement a similar project in Moscow.